In 2019, the Disney Cruise Line will be the host to epic adventures with special engagements of two popular experiences – Star Wars Day at Sea and Marvel Day at Sea. From January through early March 2019, guests can embark on special seven-night sailings on the Disney Fantasy to both the Caribbean and a galaxy far, far away. Star Wars Day at Sea allows guests to celebrate what they love about the “Star Wars” saga with Jedi, Stormtroopers, Wookies, droids and more during this special one-day celebration. 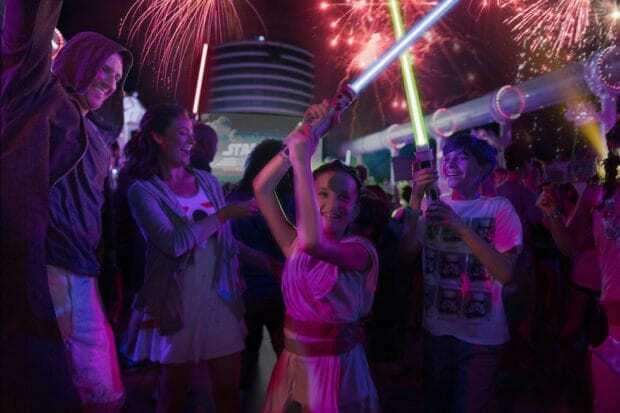 Experience a deck party that is out of this world during Star Wars Day at Sea. This experience includes a full day of “Star Wars”-themed activities, including a deck party spectacular with a fireworks display, encounters with both galactic heroes and villains, family and youth activities, themed food and beverage offerings and exclusive merchandise. Star Wars Day at Sea will only be offered on nine Disney Fantasy seven-night Caribbean cruises sailing out from Port Canaveral, Fla.
With departure dates Jan. 5, Jan. 19, Feb. 2, Feb. 16 and March 2, 2019, the western Caribbean itinerary includes Cozumel, Mexico; George Town, Grand Cayman; Falmouth, Jamaica; and Disney’s private island in the Bahamas, Castaway Cay. For departure dates Jan. 12, Jan. 26, Feb. 9 and Feb. 23, 2019, the eastern Caribbean itinerary includes Tortola, St. Thomas and Castaway Cay. From January through early March 2019, those who seek adventures of the superhero variety can set out on special five-night Disney Magic sailings to the Bahamas and Caribbean, and enjoy an action-packed day celebrating the Marvel Universe. 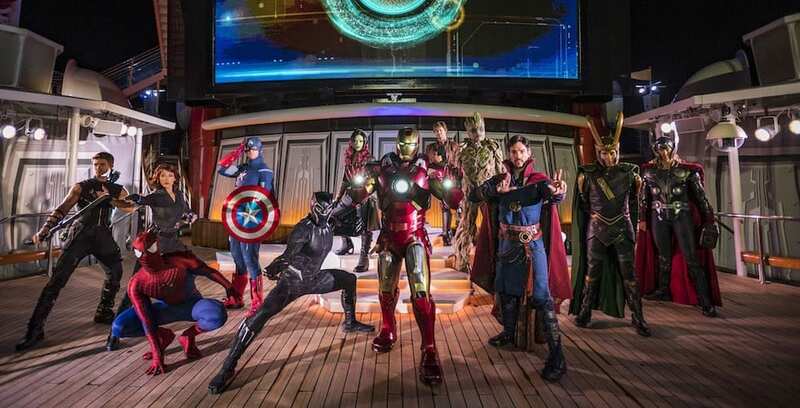 Marvel Day at Sea combines the thrills and excitement of the Marvel comics, films and animated television series, with the fun of a Disney Cruise to bring out everyone’s inner Super Hero. Encounter the Brothers Odin, along with many other Marvel Super Heroes and villains during Marvel Day at Sea. For one day during each of the select Disney Magic sailings, this event will feature all-day entertainment including interactions with Marvel Super Heroes and villains, a deck show spectacular, Marvel-themed activities for younger guests, exclusive merchandise and unique food and beverage offerings. 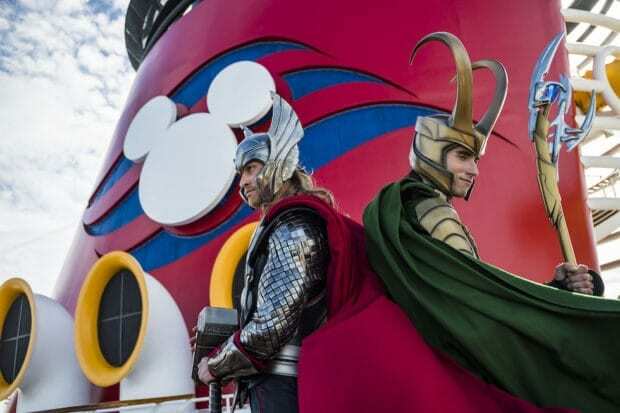 Only 10 of the Disney Magic Bahamian and Caribbean cruises sailing from Miami, Fla. will offer Marvel Day at Sea. Departing on Jan. 6 and Jan. 20, 2019, the western Caribbean itinerary includes Grand Cayman, George Town and Castaway Cay. For Jan. 11, Jan. 25, Feb. 8, Feb. 22 and March 8, 2019 departures, the Bahamian itinerary includes Key West, Fla.; Nassau, Bahamas and Castaway Cay. With departure dates Feb. 3, Feb. 17 and March 3, 2019, the western Caribbean itinerary features Cozumel, Mexico and Castaway Cay. For more information on Star Wars Day at Sea, Marvel Day at Sea, or to book a cruise, visit DisneyCruise.com or our recommended travel partner MouseFanTravel.com.